Beechwood Wine Bar features a 16" deep butcher block serving surface. It's the perfect entertaining unit for a den or game room. 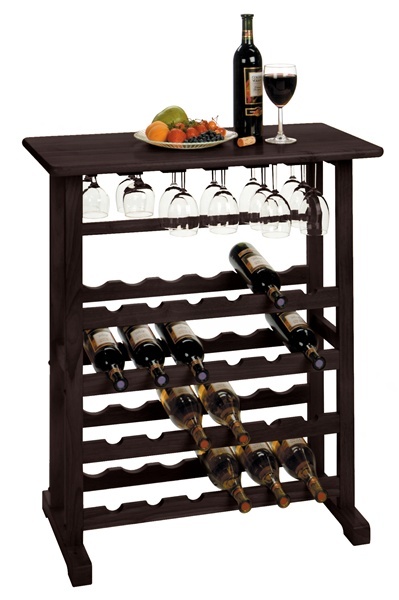 The four scalloped crossbars holds 24 wine bottles and 6 stemhanger slots accomodates up to 24 glasses or flutes (max 3" diameter base). Comes in beechwood with espresso finish. Simple assembly required.